Many of the most challenging ethical and social issues today are in the field of bioethics. Issues such as end of life care, reproductive technology, genetic and biotechnology, not to mention long standing issues such as abortion and assisted suicide. 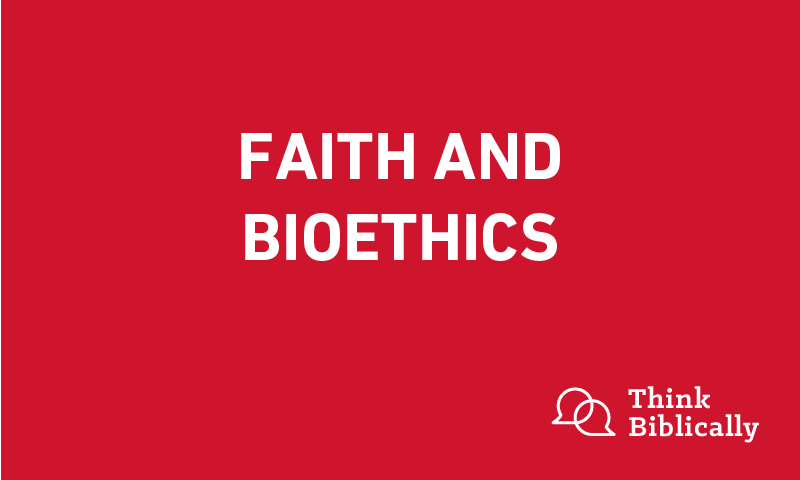 Join Sean and Scott as they interview Dr. Paige Cunningham, President of the Center for Bioethics and Human Dignity, one of the few Christian think tanks in this vexing field of bioethics. 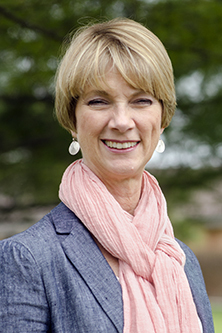 Dr. Paige Cunningham is Executive Director of the Center for Bioethics and Human Dignity in Deerfield, Illinois. She holds a J.D. from Northwestern University Law School and a Ph.D. from Trinity Evangelical Divinity School. Scott Rae: Welcome to the podcast Think Biblically: Conversations on Faith and Culture. I'm your host, Scott Rae, Dean of Faculty and Professor of Christian Ethics at Talbot School of Theology, Biola University. Scott Rae: We're here today with Dr. Paige Cunningham, who's the Executive Director of The Center for Bioethics and Human Dignity at Trinity International University outside Chicago. The Center has been around for, in fact, they celebrated their 25th anniversary this last summer. And they have been around for a long time and are still the preeminent Christian think tank and resource center for the discussion on bioethics in contemporary culture. Scott Rae: So Paige, welcome to the podcast, really appreciate you being able to be with us. Paige Cunningham: Well, it's my pleasure to join you today. Scott Rae: Our listeners might not be super familiar with the term bioethics, so tell us a little bit. What does that term refer to, and what's the field of bioethics about? Paige Cunningham: You know, that's the word that gets you either blank stares or people running away. It's actually pretty hard to define, but I find the easiest way for people to get their arms around it is to think about the kinds of decisions we make with respect to medical technologies, because that's where most people encounter bioethics. And that's where you have a decision about, say, do we pull the plug? Do we use in vitro fertilization? What about this stem cell therapy? So questions where we have hi-tech intersecting with health concerns, but that's not all of it, that's just most familiar part. Scott Rae: Okay. So this sounds, I think probably to many of our listeners, like a pretty heavily academic endeavor. Why should non academics, people in the local church, people on the street care about bioethics? How does the field touch the life of someone who's not really a specialist in this? Paige Cunningham: Well, as I say, when I have the opportunity to speak to more general audiences, you will make at least one bioethical decision in your lifetime. But you don't know when that's going to come and you don't know who that's going to affect. It might be a decision about a parent, or about a child, and oftentimes when you're in the middle of that decision making it's very emotionally stressful. Somebody's life might be on the line, there may be a very expensive of painful operation to consider, so it's really good to think about these issues and pay attention before you have to make the decision. When you can think through it a little more calmly. When you're in the middle of a crisis, at that point you're just looking for a lifeline, not for some thoughtful reflective response. Scott Rae: You mean we're not typically thoughtful and reflective in the middle of a crisis? I'm shocked to hear that. Paige Cunningham: Well, maybe you are. But you know what? I've encountered this myself. This is what I do in my day job, but when we had a family member who was going through one of the many questions that come up at the end of life, we had to make a decision. I thought I knew what would be the nest outcome, but I still called a couple of my friends who are physicians to say, "Hey, does this seem right to you, in terms of what we're hearing from the doctor?" Not because I didn't know how to think about it, but because in that moment you also want reassurance, and we all want to do what's right. We want to make wise decisions, and that's hard to do on your own. Bioethics is very disciplinary. It involves other people. It's not just you and the privacy of your own thoughts. Scott Rae: When I think back over the last 20 or 30 years, my wife and I have dealt with infertility, we've walked three of our four parents through terminal illnesses, my wife had major genetic testing done for the marker for breast cancer. So bioethics has had ... Let's just say God's had an interesting sense of humor in how the field has followed me home in ways that I didn't expect at all. And it sounds like it's done something similar with you. Paige Cunningham: Absolutely. And you just never know. When I have students in a class, God, I always say at the beginning, "Probably one of you within a couple of weeks after you leave here is going to have some conversation about this." Not just in terms of, "Here's what I learned." But where somebody is actually dealing with a life question, and I've heard back already from the class I taught just earlier this summer that somebody was already helping walk a family member through one of these types of questions. So this is not hypothetical "it's never going to happen to me" It's more of, "It is going to happen to me. Will I know what to do? Or will I even be aware that there is an ethical dimension to this decision?" Scott Rae: Yes. And I think both you and I have been writing bioethics for some time, and people will often say, "What you wrote on X subject was really helpful to me." And I say, "Well, that's always a mixed blessing when somebody says that, because I'm glad it's been helpful, but I'm sorry that you've been in the situation where that can actually be helpful to you." Paige Cunningham: Yeah, they're usually difficult decisions. Some of them have much lower risk benefit discussion, but oftentimes when it comes to our health we are, that's when we're really the most vulnerable, is when we're dealing with the fragility of our own bodies. Sean McDowell: So what motivated you to go into the field of bioethics? Paige Cunningham: Oh, it was a God thing. I had this long winding path there. I didn't have a nice road map to it. I first started out in the Pro Life movement and had focused a lot on the abortion issue, and I was doing the abortion lecture for the Masters in Bioethics program here at Trinity, and I think it was around that time that I met you, Scott. And I was realizing that all these technologies were coming down the road and I didn't really have categories for thinking about the moral question. There was the beginning of embryonic stem cell research, when they identified human embryo stem cells back in 1998, and threads of human cloning, with Dolly the sheep, and all these questions of technology invading the research lab and invading the hospital room. I didn't know how to answer them. So I decided to not only give the abortion lecture, but to actually do the masters in bioethics, and one thing led to another and now that's become my current location. So not a great plan, but it kind of reflects how bioethics is. It's just woven through our path and our journey through life. Sean McDowell: So, broadly speaking, what are some of the Christian principles that are nonnegotiable that people need to know as they think about these broad questions? Paige Cunningham: Yeah, that's a really helpful question, because when you start talking about bioethics some people think, "Oh, this is just too scary. It's the science, I can't understand it." And one of my goals is to lower the anxiety level and say, "You know what? Sometimes it's just a matter of asking the right questions." And the two big questions actually illustrate those nonnegotiable principles, Sean. The first one is in our name. We are the Center for Bioethics and Human Dignity, and human dignity is one of these big concepts, one of these big important concepts, like the notion of justice or love. And human dignity is, in our view, and I think it's grounded in both scripture, but also in a broader theological understanding, is that every human being has intrinsic dignity. It's not something the state gives you, or United Nations convention gives you, but you have it by virtue of being human, and the reason that we have dignity is because we're made in the image of God. Paige Cunningham: So we are God's creatures, we are made in his image, and we have dignity, which means that we have to respect other image bearers, other people with dignity, and for me the nonnegotiable is that dignity, that image bearing arises as soon as that creature, that organism comes into existence, which is its first moment of conception at fertilization, and then that extends through death. So that's just a fundamental principle and a lot of things flow from that, like we can't kill other people, including embryos. We can't use them for research without their consent, including embryos. Paige Cunningham: The second big principle is human flourishing. So let me just emphasize what these two questions are. The first question is what are the boundaries of human life? Who counts as human? Because if you count as human, you're made in the image of God and you have dignity that must be respected and protected. The second question is what does it mean to flourish as a human being? So this is the other part of being human. Now, I don't know if you've gotten into issues of what we call theological anthropology in your podcast, but this is probably one of the most important areas of theology this century, which is what is human nature? How far can we alter it? What does it mean to flourish as a human being? Paige Cunningham: So this would raise questions like our finitude. We're limited creatures, we depend upon God, we're contingent, and our bodies are good but they are not infinitely malleable. We can't do whatever we want to them. So to flourish is not such an easy answer. It's not black and white like don't kill. But it is more about our relationship with God, with others, and with the world that he has given us. Scott Rae: What would you say are the handful of bioethics issues today on which you would say the church is undereducated about? Paige Cunningham: How about most of them? I think we're pretty good on abortion. So that's not really a central current bioethics concern. Although, obviously for me that's how I got into the whole area, because abortion's easier because the boundaries are clearer, we can relate to the unborn child in the womb, and just have an innate sense, intuitive sense of that's wrong. But the areas where I think the church is maybe asleep, or just maybe even unaware that these are moral issues would be in still beginning and end of life issues. One is infertility, as you mentioned earlier, Scott. There are so many options and pressures on young couples who are wrestling with infertility, and then at the other end of the spectrum is what I would just call the whole area of end of life issues, and we think about it colloquially as pulling the plug. When do we pull the plug? But that's not all there is. Paige Cunningham: There are questions about nutrition and hydration. Do we use feeding tubes? Do we only feed by mouth? There's an area that's called palliative sedation. Do we give the patient so much morphine that they no longer need? They don't feel pain, but they also are going to die because they're not eating. Those are kinds of questions that will come up to Christians at the doctor's office or at the bedside. Sean McDowell: The center that you're involved in has been around at least 25 years. How have these questions changed over that time, and what questions do you see on the horizon that we'll be confronting very soon in the future? Culturally speaking, maybe even as a church. Paige Cunningham: Wow. Well, the core question of human dignity has not changed, but what has changed is how much medicine and science and technology are pressing against that. Like I look at one area, my main area is reproductive ethics, but it's just not isolated. It bleeds over to so many other areas. So we now have a new area called repro genetics, because this is not just about infertility and embryos created via in vitro fertilization, but it's now all this genetics research. You probably know that a lot of researchers are talking about this being the century, or certainly at least the decade of genetics. That's the next medical revolution. We've conquered germ theory and bacteria, and we've been working on a lot of therapies for living longer, and genetics, ever since the mapping of the human genome, has been the current hot area. Paige Cunningham: So these questions arrive at the intersection of species. Let me give you an example; I was just asked last week if I could do an interview, which I had to decline, because this had to do with taking tissue from aborted fetuses, you've probably heard about that, and using them to take small samples to inject into mice for two purposes. One is to study the course of a disease, and the second purpose is to see how well certain drugs work. So this raises questions not only of abortion, but of research ethics. Is that woman, when she's ... did she consent to the use of the tissue from her aborted baby? And if so, did she know that it was going to be transplanted into a mouse? Paige Cunningham: So you've got research ethics, you have reproductive ethics, you have genetic ethics, and then you have the whole area of the ethics of abortion. So the questions are becoming more complex because the lines are becoming blurrier, which means you really have to be able to identify a whole array of questions that arise in every scenario. Organ transplantation is another one. It draws in questions from a handful of disciplines, particularly when you talk about a uterus transplant, which is a more recent technology. Paige Cunningham: Yes I am, but don't tell anybody. Scott Rae: You have a PhD also, but until you became executive director of the center you were with Americans United for Life, is that right? Paige Cunningham: Yeah. Mm-hmm (affirmative). Scott Rae: Involved really on the front lines of the legal battles related to life and abortion. So you've been dealing with the public policy aspects of bioethics for a long time. What issues in bioethics should be things for the law, and what kinds of issues should be left for individuals to make decisions about based on individual conscience? Paige Cunningham: Now that's actually a tough one to work through, because in our hearts we want everyone to live a bright and godly life. However, that is not the purpose of law. The purpose of law is first of all to preserve a stable society in law and order, and to restrain conduct that is harmful to society. Not conduct that is harmful just to the individual. But, bioethics is inherently intertwined with public policy because bioethics is just very applied. We do have a lot of this conceptual and analytical work, but most of bioethics is looking at actual situations. So the law is a blunt instrument to help individuals into specific situations. What the law can do is to protect individual lives, so I spent many years trying to work on behalf of protective laws that would protect the unborn, and if we could restrict abortion to at least regulate it to the maximum extent permissible. Paige Cunningham: But in bioethics we are working with general principles, but they are ultimately very case specific. I couldn't give you enough rules to help you decide every single situation, even just in end of life, and every time that turning off the ventilator would be a moral option. That's why we have to do a lot of thinking and training, so that we know the principles, the questions to ask, and also what does it mean not only just to do the right thing but to have the inner disposition or the inner will to want to do what is right? So this is where the concept of virtue, and being trained, and training ourselves to want to follow God, to understand how his word speaks into these situations. How biblical wisdom can help us make a better choice than we would have otherwise. Scott Rae: Sounds like you're suggesting something like when really fundamental human rights are being violated, that's a place for the law to step in. Paige Cunningham: And also it often lags. Technology's changing very quickly, and the law can't necessarily ... Hence the way our legal system is designed, it doesn't necessarily anticipate that. Now, I'm thinking now of the courts. Congress and regulatory agencies can be a little more proactive in that area, that's their responsibility, but you don't want the courts making those kinds of decisions. You only end up in the courts when things are not working out well. So it is not ideal for that to be the way that we want these difficult decisions to be evaluated and decided. Sean McDowell: Paige, on that note, I'm curious your thoughts on the prospects of Roe Versus Wade, or some would really say it's Planned Parenthood versus Casey being reversed. And what advice would you give to the Pro Life movement to make sure there's not overreach too quickly? That is seems the more progressive side, with cases like NIFLA has maybe done. Paige Cunningham: Oh wow. Well, just to give you kind of the 30,000 foot view, I was actually just reading a little bit of the history of these issues, and it raises those same questions. There's always been that tension between what is prudent in terms of our legal system, and I'm including all three branches of government, what our legal system is designed to do, and what we as Christians believe to be right and wrong, and the difference between trying to ban all abortions, or prohibit and criminalize all abortions versus what can we do within our current legal structures that is likely to be sustainable. So it's principle versus possible, and I've always been more on the possible side because I would rather save some lives than none. I would rather protect some women than none at all. Paige Cunningham: So you asked about these two key cases, Roe v. Wade being the one that legalized abortion on demand throughout all of pregnancy back in 1973, and then 20 years later in Planned Parenthood versus Casey in 1992 we have a strange decision, it really is strange, you have to have a road map to actually individual what happened there. But two things, it reaffirmed Roe versus Wade, well it didn't rely on any of the legal reasoning of Roe, so that in itself is telling, but along with doing that the court also upheld state power to broadly regulate abortion. Paige Cunningham: So what I would say to the Pro Life movement is, there is a lot of good news out there. There's been a wave of pro life legislation introduced throughout the country, a lot of it successfully, and it's having an effect on reducing abortion throughout the United States. And my [inaudible 00:21:55] don't push to hard. And there are a lot of people who would disagree with me, so I'm going out on a limb here knowing that that view is not shared by everyone. But if you push too hard you can risk a backlash, and I think that where our culture is right now is that if there is a fear that under this new supreme court after the confirmation, presumably, the presumed confirmation of Judge Brett Kavanaugh, if there is a fear that Roe versus Wade will be immediately reversed I think you will have social unrest. Paige Cunningham: Thomas Aquinas, who is a 12th century or 13th century theologian of the Roman Catholic church, and is also part of our heritage in terms of thinking about natural law, said that law should not change or push more quickly than the people can bear, or there will be, in a sense, a rejection of the law. And we don't want to have people just simply reject the law. So there's a great, I think there's a great cultural, well maybe reversal. A cultural revival that needs to happen so that our country's not split apart. We don't want a civil war over abortion. I would much rather do it the British way, to have a gradual eradication that will be sustainable. Paige Cunningham: But I would just encourage people in the pro life movement to hang in there because it's working, and the culture is becoming more prof life. And as we look back at the record, and the impact of more than 40 years of legalized abortion, we can now see the data on how it's failed to fulfill its initial promises, and in fact it has made life worse for women in terms of the feminization of poverty. Worse for children in terms of data on child abuse and domestic violence, and it's not solving the problems we were promised it would solve. Scott Rae: Thanks. I think that's a really helpful perspective, because I suspect many of our listeners would love to see abortion significant limited, Roe v. Wade being reversed, and be done with this discussion. But you're suggesting that it's probably not going to be done any time soon, and that the work of defending the unborn's going to continue to go on for the foreseeable future. Paige Cunningham: Well, I think you're right. We need to have a long [inaudible 00:24:31]. We just can't be impatient. Scott Rae: So Paige, what can our listeners do to become better informed about the current bioethics issues? Paige Cunningham: Well, let me send you to, I can just give you a one stop landing place for that, and that is our website. You can get to it through two ways. One is our initials, CBHD.org, or if that's hard to remember, just remember Christianbioethics.org, and that's just a great source of all kinds of resources. A lot of variety of issues, and at the bottom of every page there's a link to all of our online resources and social media, because we have a whole variety of websites. Each has a different purpose and a different audience, but if you just go to Christianbioethics.org that is a good place to begin exploring. Just plug in the search bar for some issue that you're interested in and see what pops up. Scott Rae: Having contributed to the website and being very familiar with it, I can tell our listeners almost for certainty that whatever you plug in there in terms of bioethics issues, you will find something of substance to help on whatever you're thinking about. So Paige, one last question for you. Tell us, how can our listeners pray for the center's work? Paige Cunningham: Oh, thank you for asking that. That's actually the most important thing anyone can do for us. So let me think. First of all, pray for encouragement. We're a really small staff, you'd be surprised at how small we are. Scott, you noticed that. Scott Rae: I do, I do know that. Paige Cunningham: And just pray that God would multiply our work, our labors many times over. And he does that. He just amazes us with what he is able to accomplish and that we get to be a part of. So just for the strength and energy to keep going, to encourage the staff. Another one is also because we are limited, is have real wisdom and determine about which opportunities that come our way that we're being called to respond to. And this is the same kind of prayer you can pray for anyone. That wisdom and discernment. And the third thing I would put there is our newest, it's not really an initiative, it's just a way of talking about our strategic priorities for the coming years, and it's called Bioethics Next. That's also linked on that front page I gave you. Because we're focusing on two groups, and I'm just sure your listeners are going to resonate with this. One is to inspire young thinkers. To help them to be courageous in promoting human dignity and to foster human flourishing, we need to raise up the next generation of bioethics leaders, especially in the academy. Paige Cunningham: And then the second one is to help pastors. Pastors are becoming aware of these issues, they need help to guide their congregation, to make wise decisions that may be very difficult, and those two prongs or priorities are going to really drive where we're going, and we are already seeing some really wonderful fruit from that. And I think that would just resonate, as we need people to think well, and we need to pastors to help their congregations to reside and live well. Sean McDowell: Well, Paige Cunningham, thank you so much for coming on the Think Biblically podcast, but more importantly thanks for, just your excellent work with the Center for Bioethics and Human Dignity. Thanks for just your clarity, your sacrifice, for standing in the gap and just helping equip the church and Christians wade through these kinda murky waters today. So we really appreciate you. Thanks so much for coming on. Paige Cunningham: Well thank you. It's been my pleasure. It always is our goal to help bring clarity to the complex issues of our day, and thanks for caring about them. Sean McDowell: This has been an episode of the podcast Think Biblically: Conversations on Faith and Culture. To learn more about us and today's guest, Paige Cunningham at the Center for Bioethics and Human Dignity, and to find more episodes, go to Biola.edu/thinkbiblically. That's Biola.edu/thinkbiblically. If you enjoyed today's conversation, give us a rating on your podcast app and share it with a friend. Thanks for listening, and remember to think biblically about it.